In Cypress Fairway Condominium v. Bergeron Construction Co., the condominium association brought suit on February 2, 2011 on behalf of the condominium, and as assignee of claims held by the general contractor, for recovery of more than $15 million in damages caused by construction defects. Da Pau Enterprises, Inc., the only remaining defendant after other parties reached settlements, moved to dismiss and/or for summary judgment against the association, alleging that the ten-year statute of repose period expired three days prior to the date the litigation commenced. At issue was the last of the four trigger events under Section 95.11(3)(c). 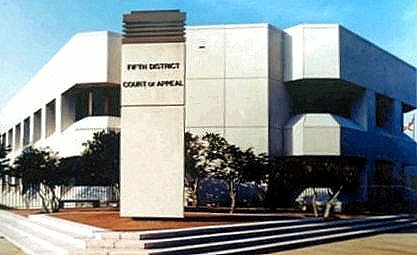 The defendant argued that the statute of repose commenced the date the contractor submitted its Final Application for Payment on January 31, 2001, which signified the “completion of construction.” However, the association contended that the repose period did not begin until the date final payment was actually paid by the owner on February 2, 2001, which signified the date of the “completion of contract.” The trial court disagreed with the association and granted summary judgment to the defendant, dismissing its claims. The Fifth DCA reversed, reasoning that the plain unambiguous statutory language of Section 95.11(3)(c) required the completion of performance of the contract by both parties, and not just the completion of the performance of the contractor’s duties under the contract. Thus, the statute of repose was not triggered upon completion of construction. Rather, here, the appellate panel held that the final act for the “completion of the contract” was final payment, and not three days earlier when the Final Application for Payment was submitted. It is unclear how this decision will be applied by the courts when the owner fails to issue final payment or holds off on making the payment for a considerable length of time after the completion of construction and issuance of the certificate of occupancy. There are often disputes that arise resulting in the final payment being withheld, and as in Cypress v. Bergeron, three days can make a critical difference of whether or not the statute bars any claims. This decision should serve to remind property owners who discover latent defects of the importance of consulting with highly qualified and experienced construction attorneys. Our firm’s other construction lawyers and I write in this blog about important legal and business issues for the construction industry in Florida, and we encourage industry followers to submit their email address in the subscription box at the top right of the blog in order to automatically receive all of our future articles.